The US Central Intelligence Agency is no stranger to conspiracy and allegations of corruption. Across the globe, violent coups have been orchestrated, high-profile targets kidnapped, and world leaders dispatched at the hands of CIA agents. During the 1960s, on domestic soil, the methods used to protect their interests and themselves at the expense of the American people were no less ruthless. In CIA Rogues and the Killing of the Kennedys, Patrick Nolan fearlessly investigates the CIA’s involvement in the assassinations of President John F. Kennedy and Senator Robert F. Kennedywhy the brothers needed to die and how rogue intelligence agents orchestrated history’s most infamous conspiracy. Nolan furthers the research of leading forensic scientists, historians, and scholars who agree that serious unanswered questions remain regarding the assassinations of John F. Kennedy fifty years ago and Robert F. Kennedy in 1968. He revisits and refutes what is currently known about Lee Harvey Oswald and Sirhan Bishara Sirhan and offers readers a compelling profile of the CIA’s Richard Helms, an amoral master of clandestine operations with a chip on his shoulder. Bolstered by a foreword from Dr. Henry C. Lee, one of the world’s foremost forensic authorities, CIA Rogues and the Killing of the Kennedys is an unmatched effort in forensic research and detective work. Nolan has made a significant contribution to the literature on that fateful day in Dallas as well as shed light on that dark night at the Ambassador Hotel. 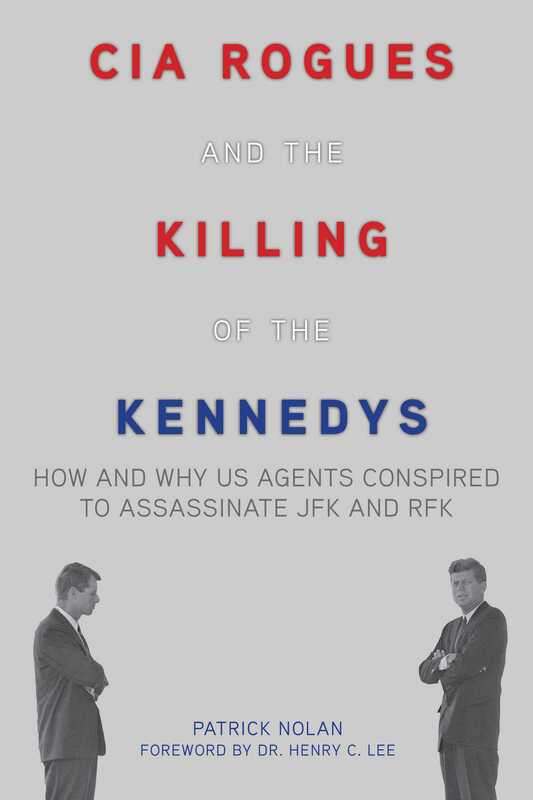 Readers interested in conspiracy, the Kennedy family, or American history will find this book invaluable.